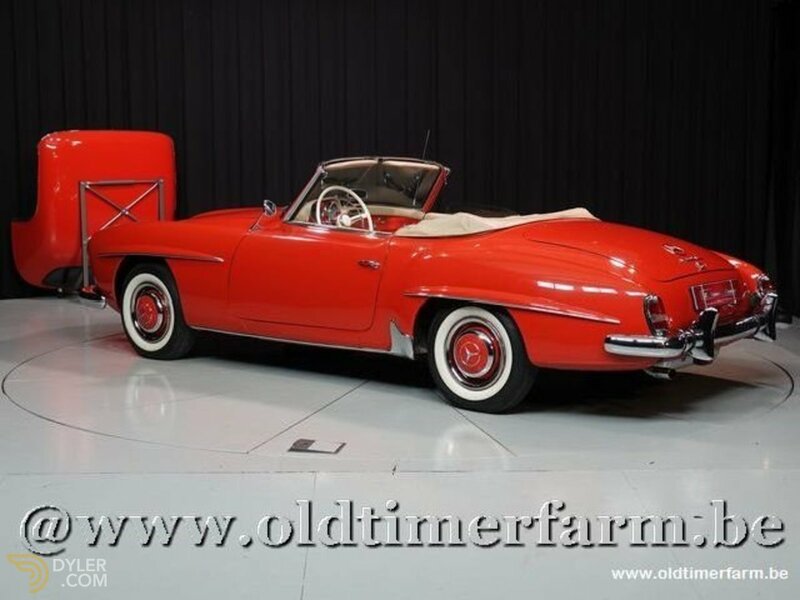 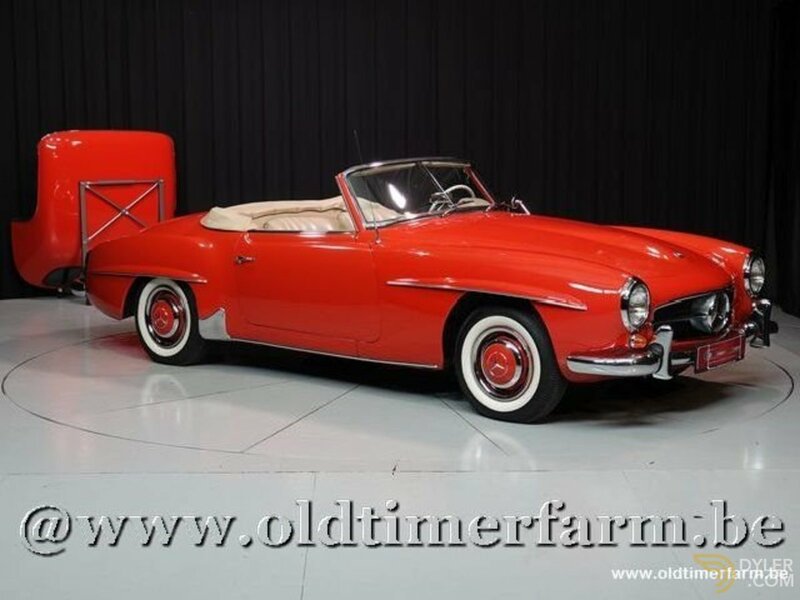 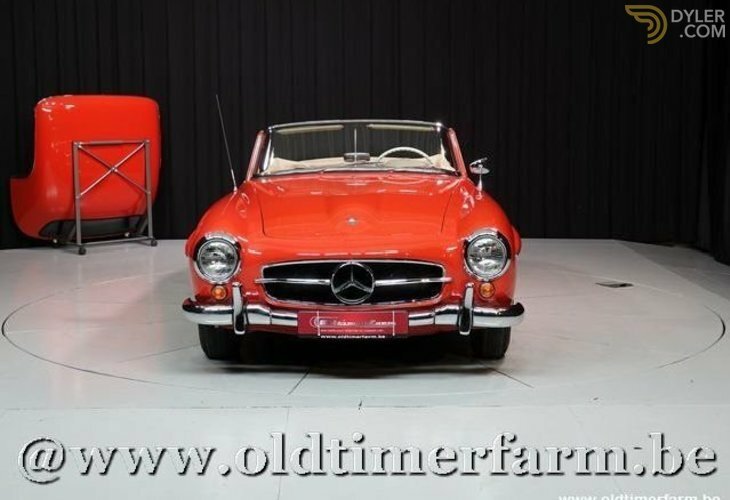 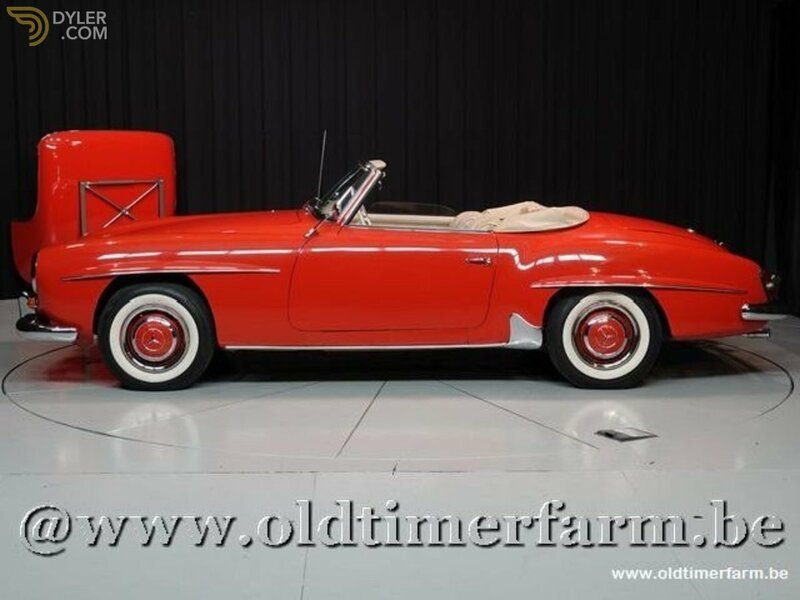 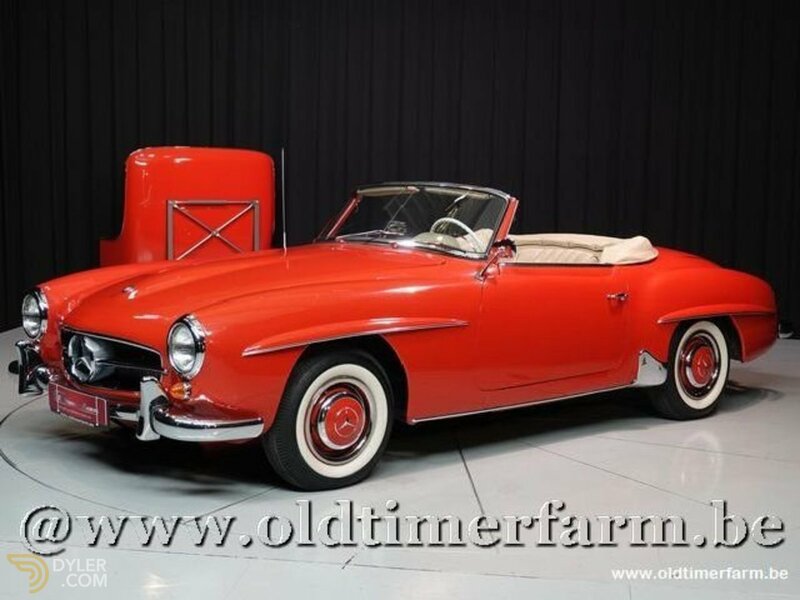 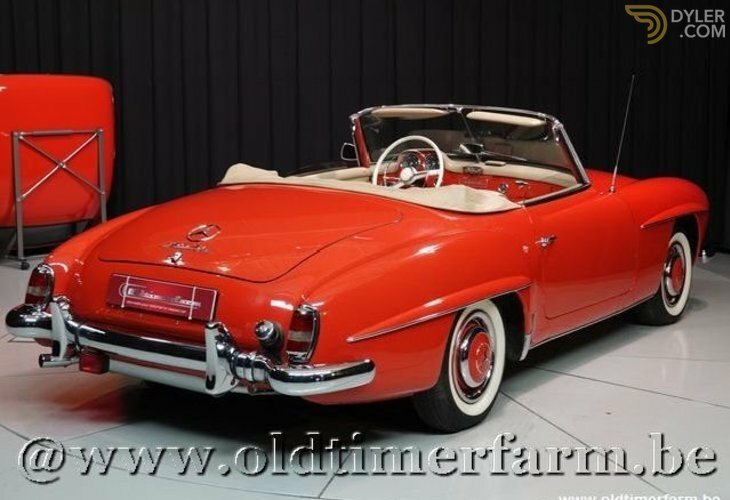 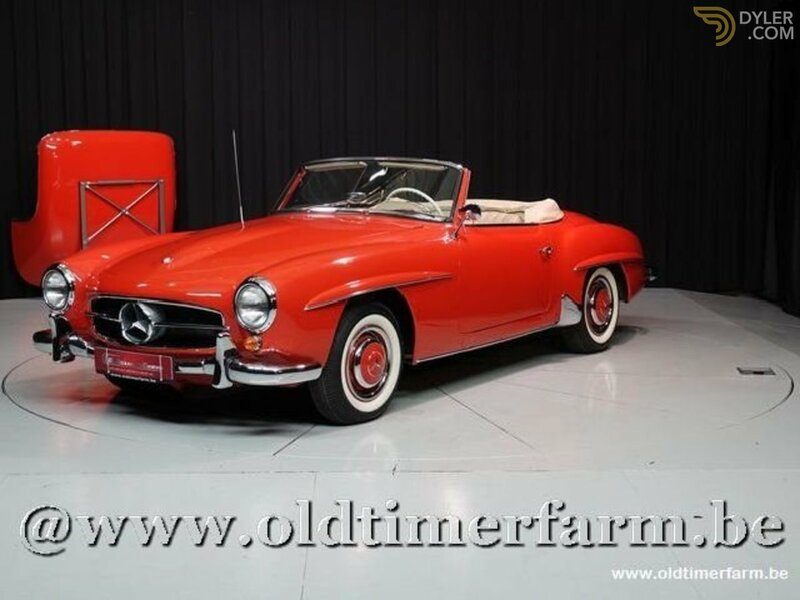 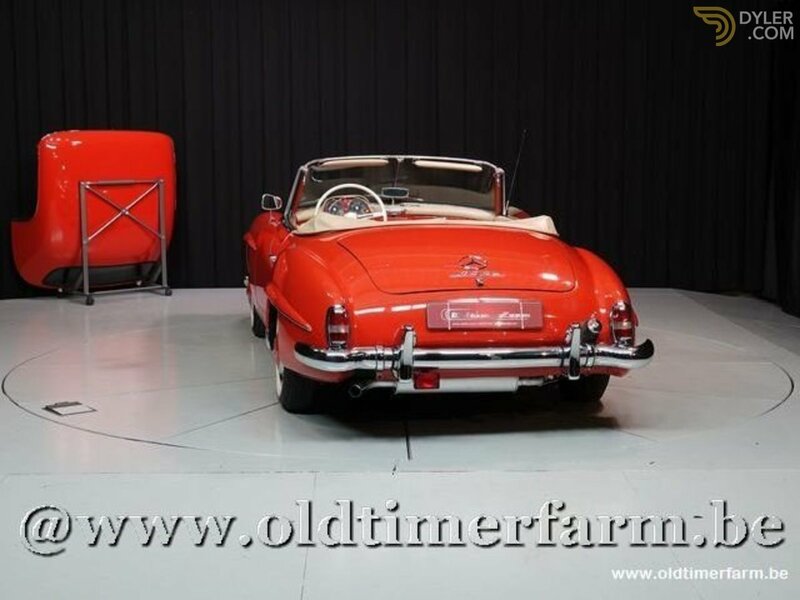 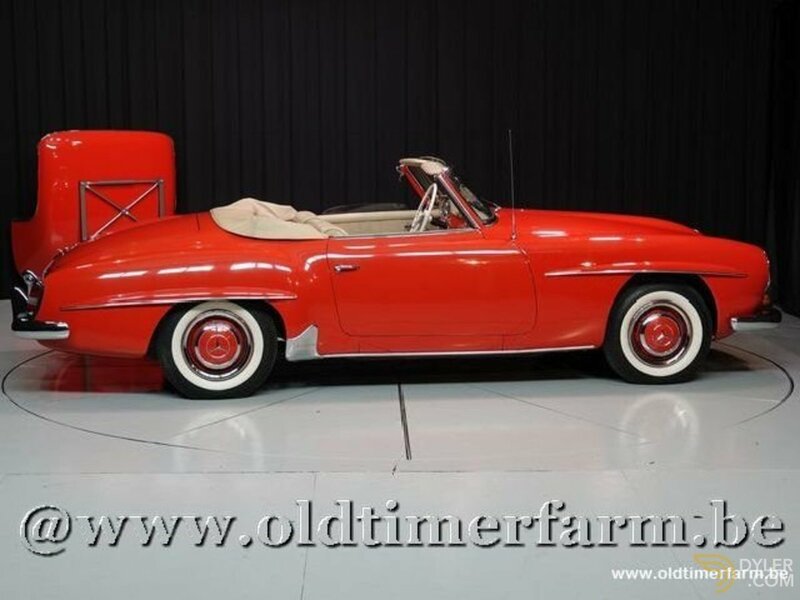 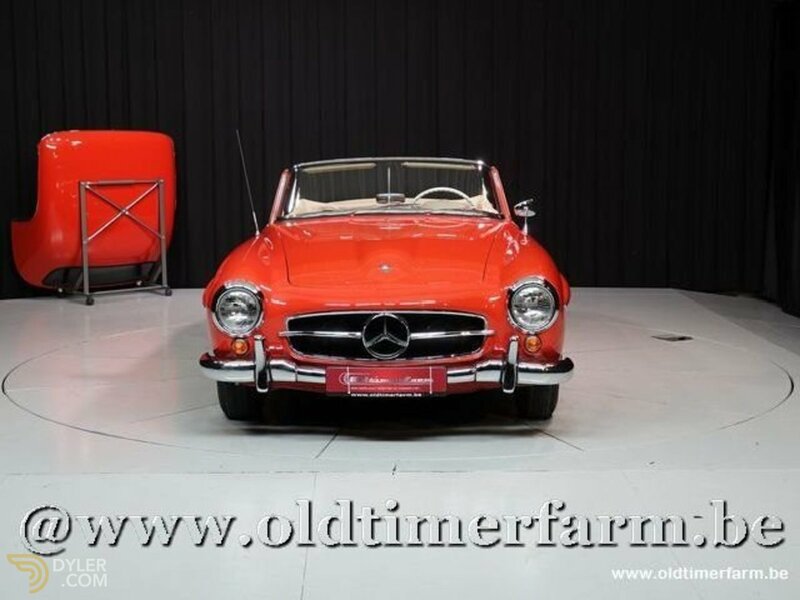 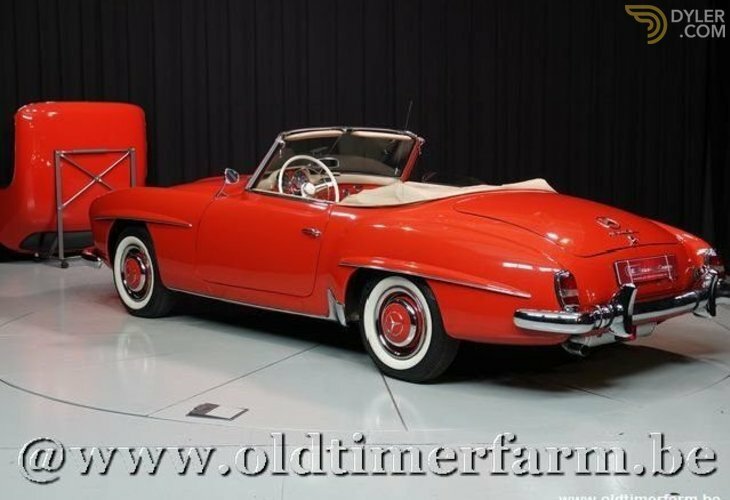 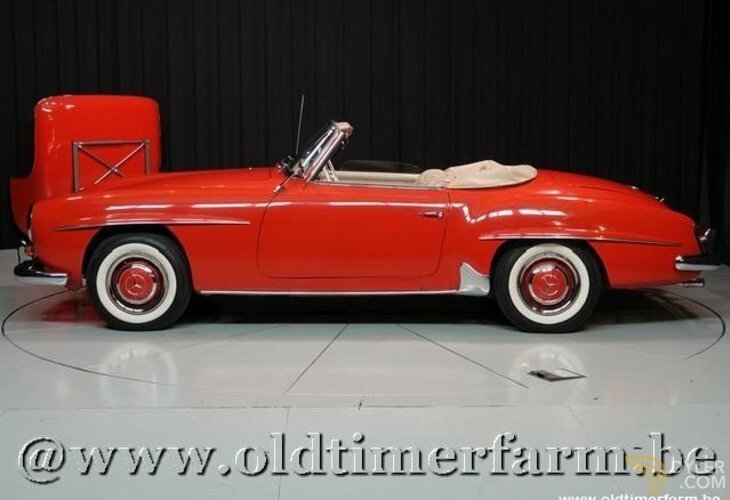 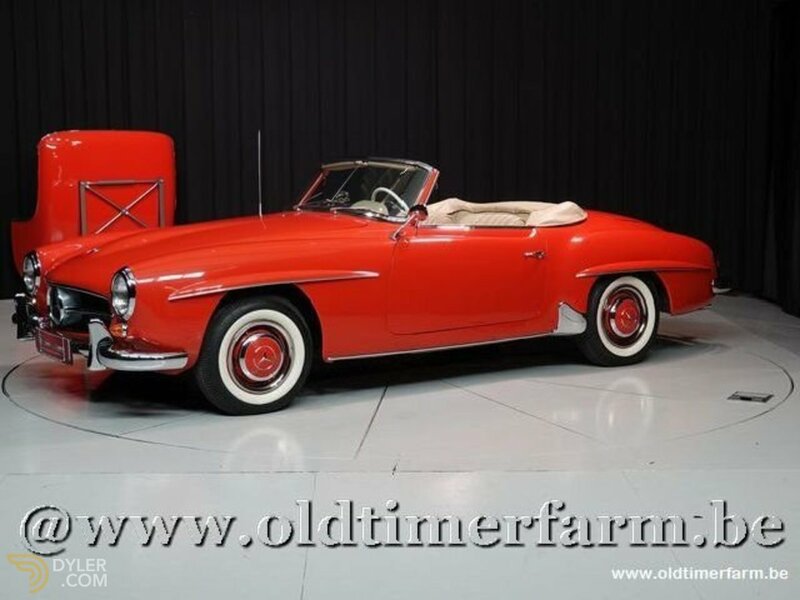 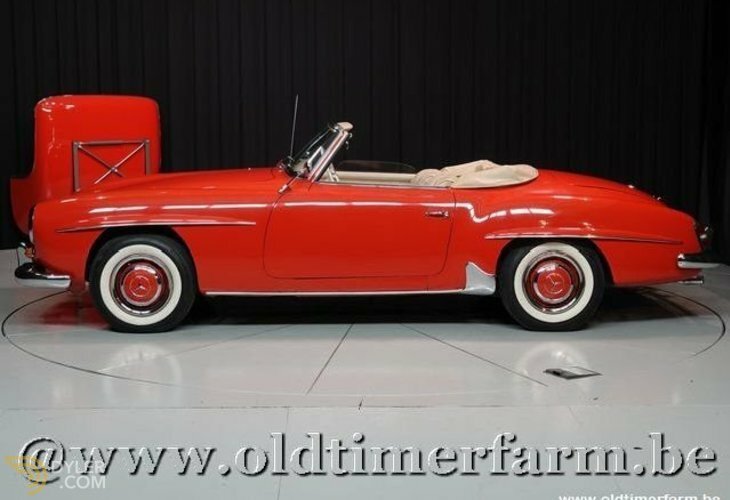 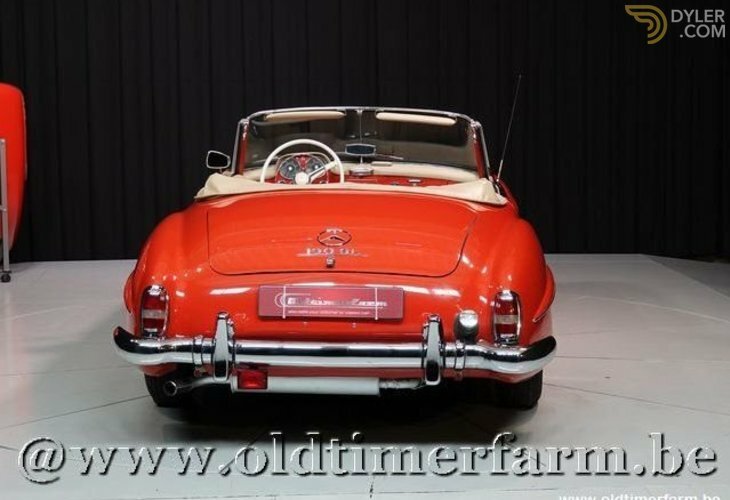 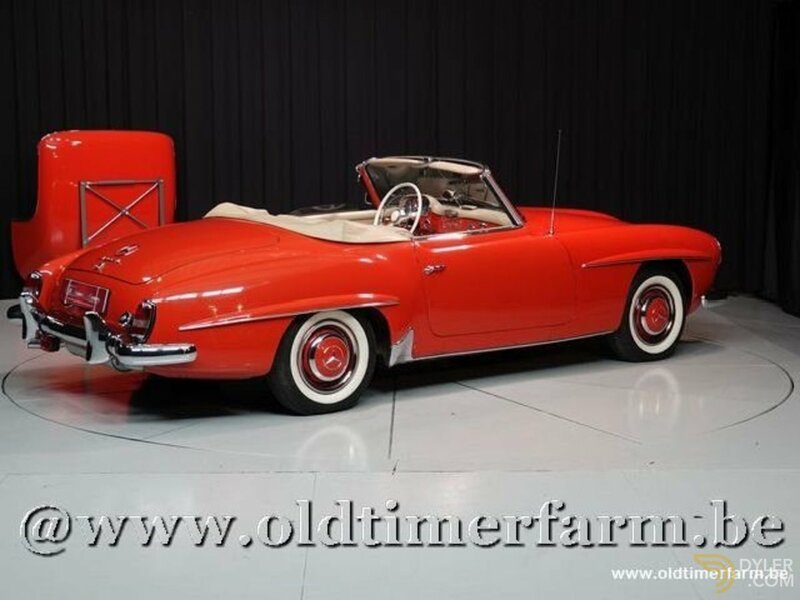 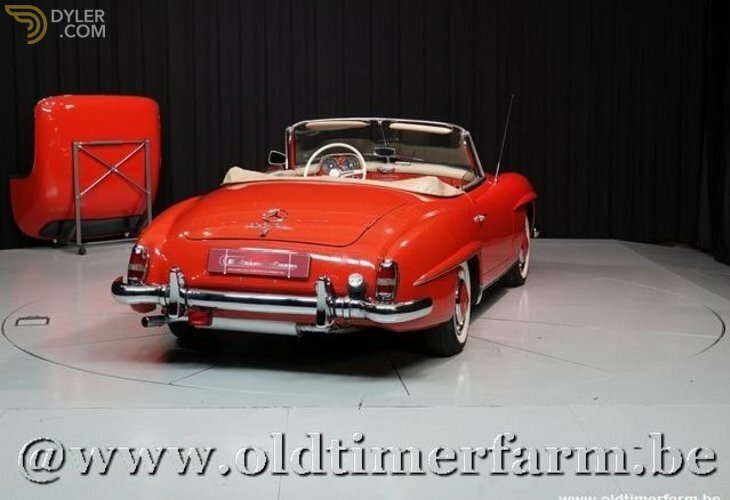 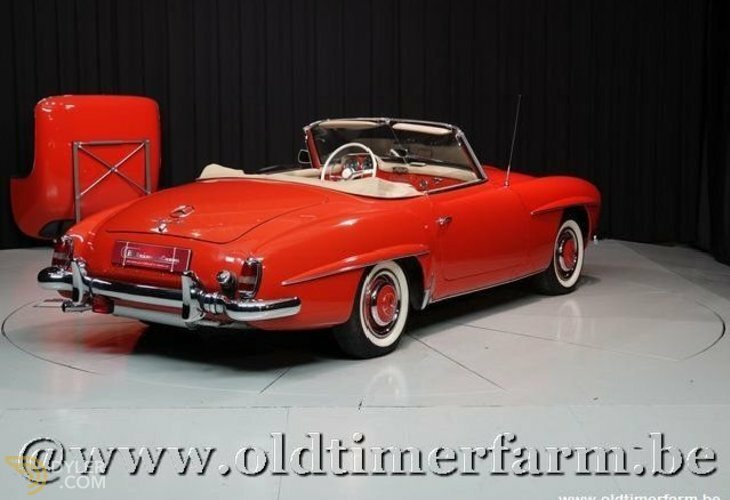 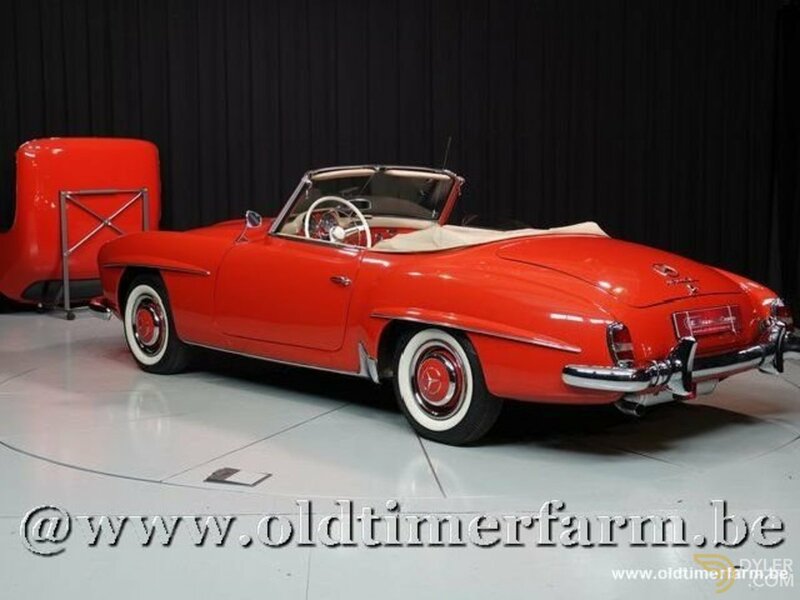 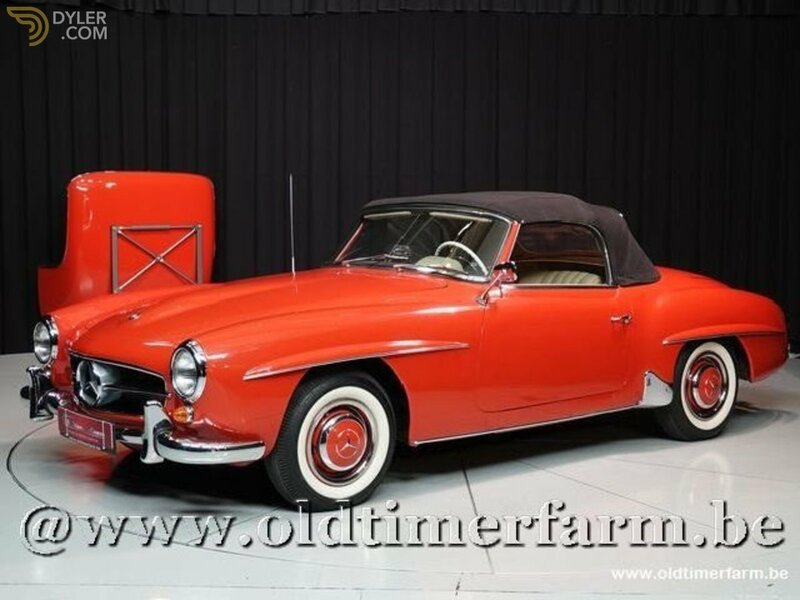 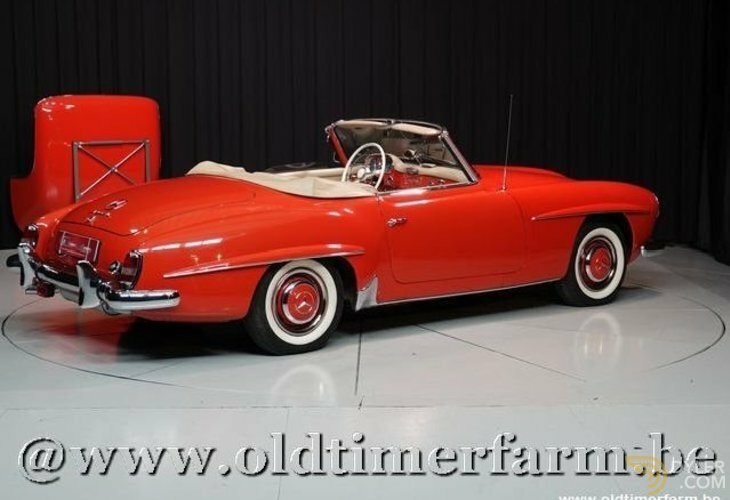 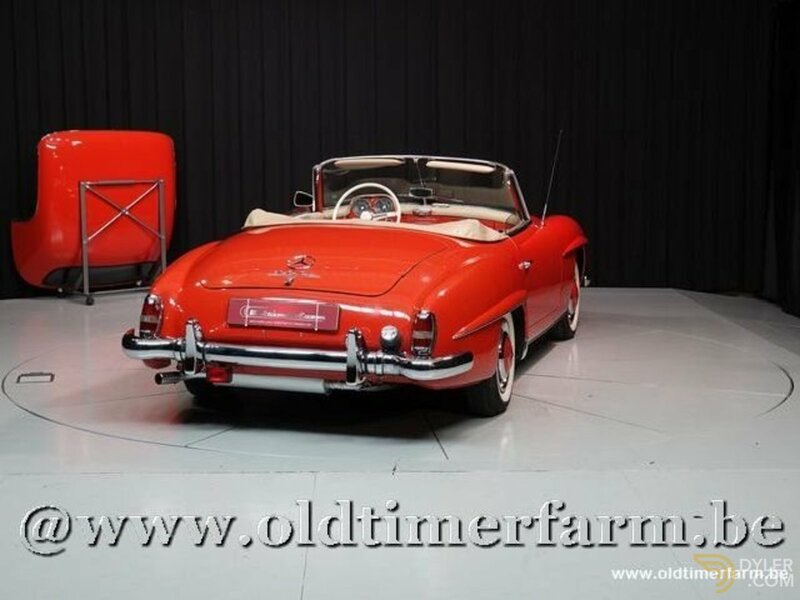 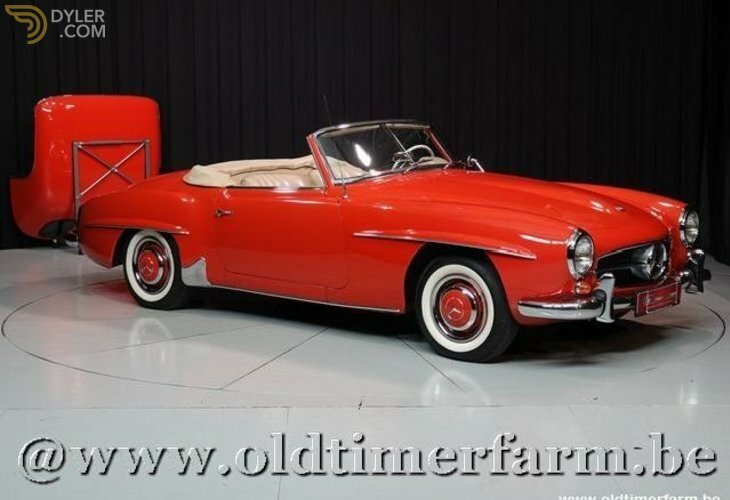 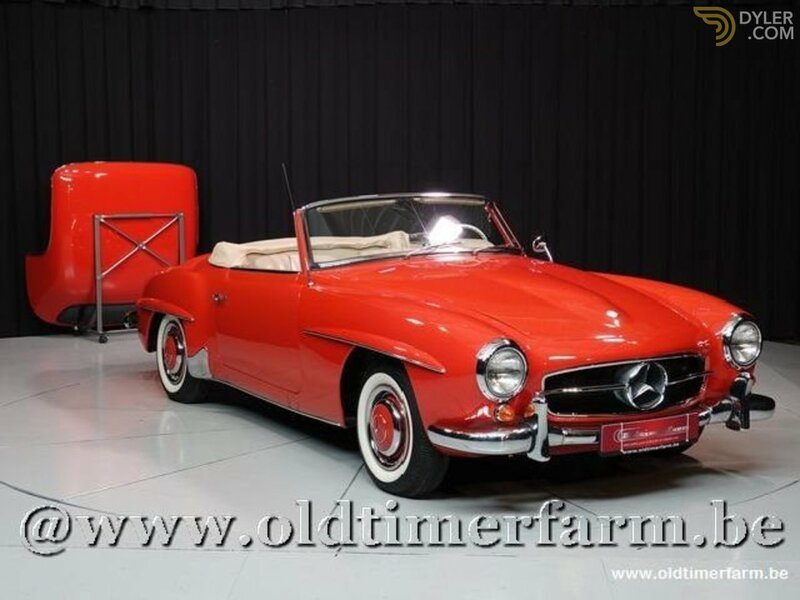 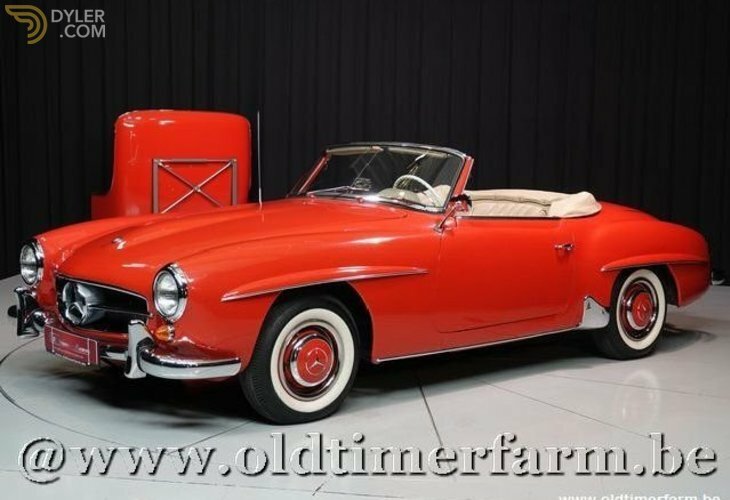 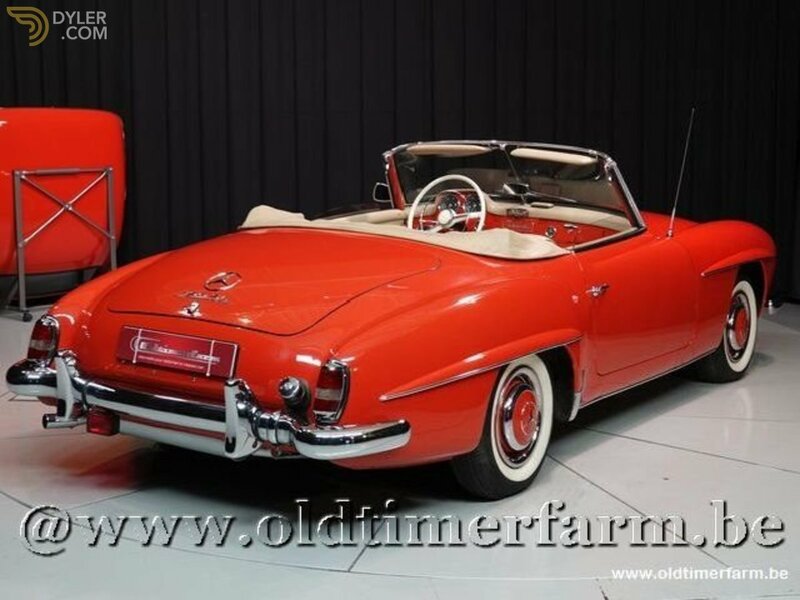 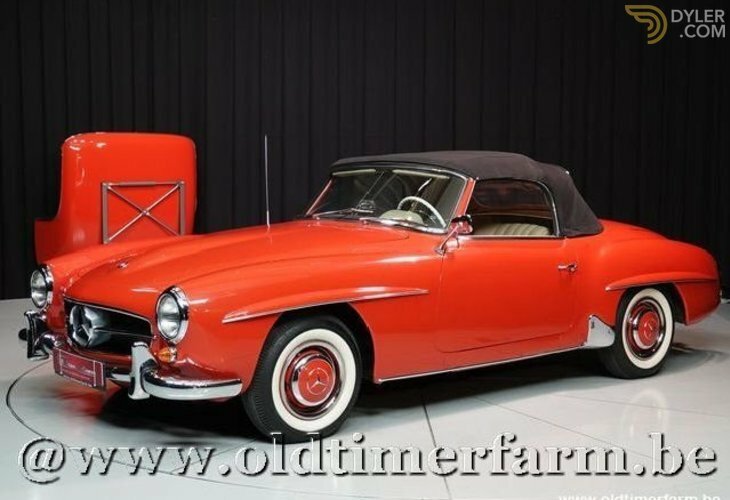 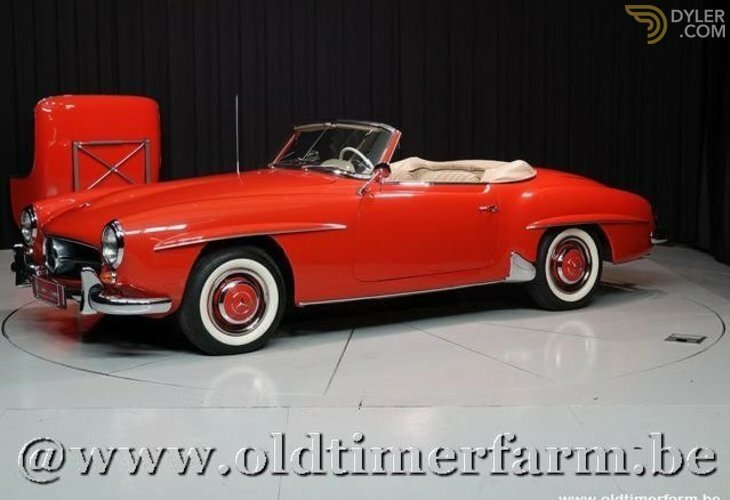 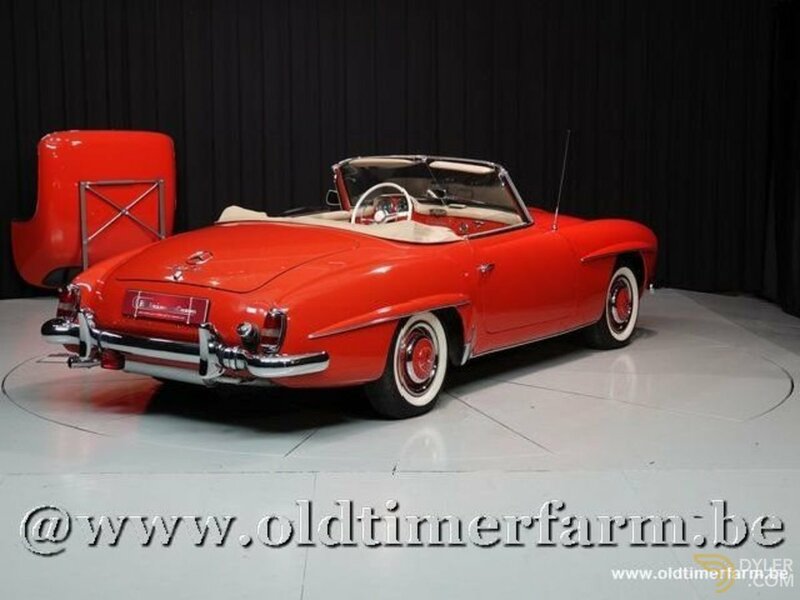 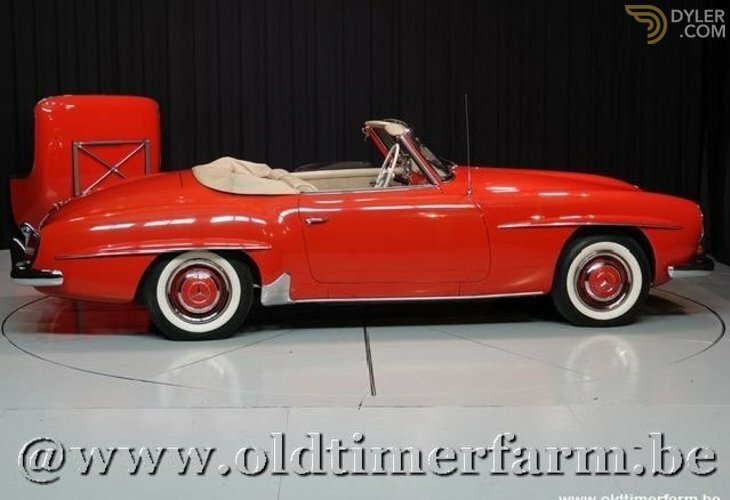 Beautiful original 190SL with hardtop. 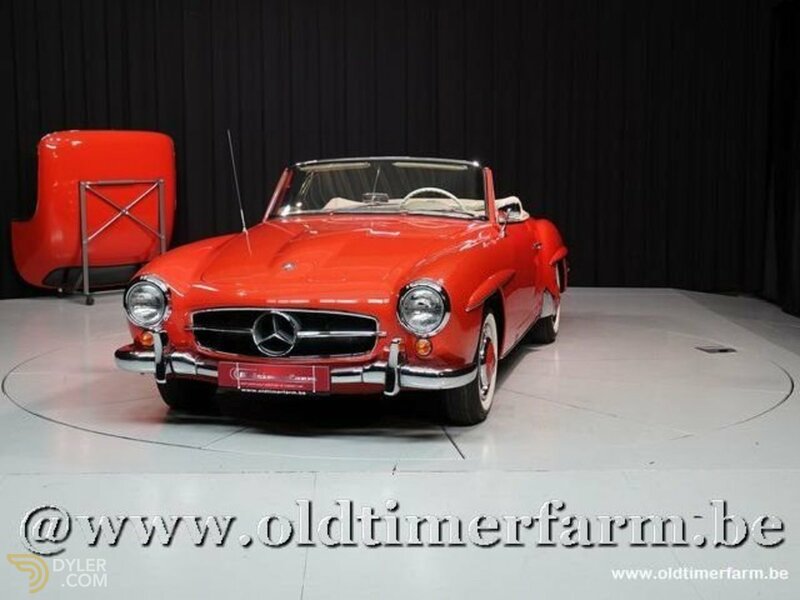 Newly delivered in the US. 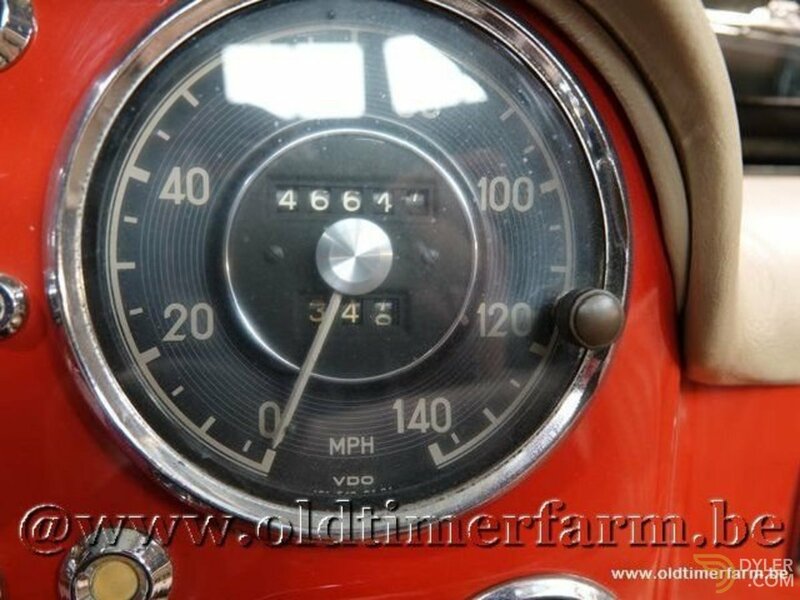 Original DB 534 Feuerwehr rot carburetors ‘’for the better” converted to Weber clone Mikuni, which solves the starting problems. 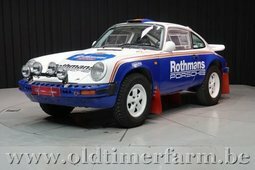 Old style diagonal tires with wide flanks emphasizing the original character of the older paint layer (restored 30 years ago). 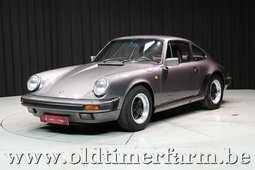 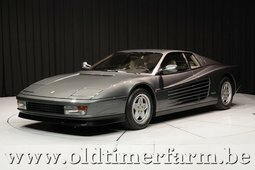 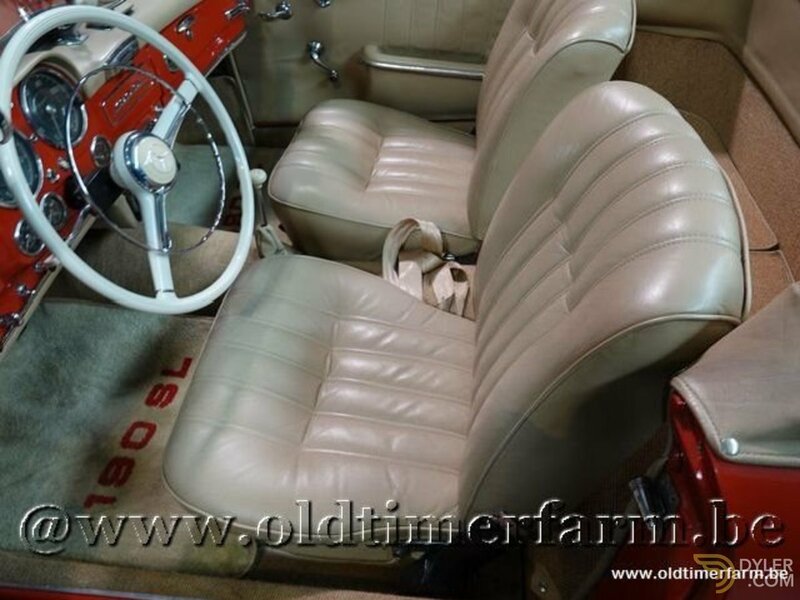 Old looking yet reliable and ready to use, at a very competitive price. 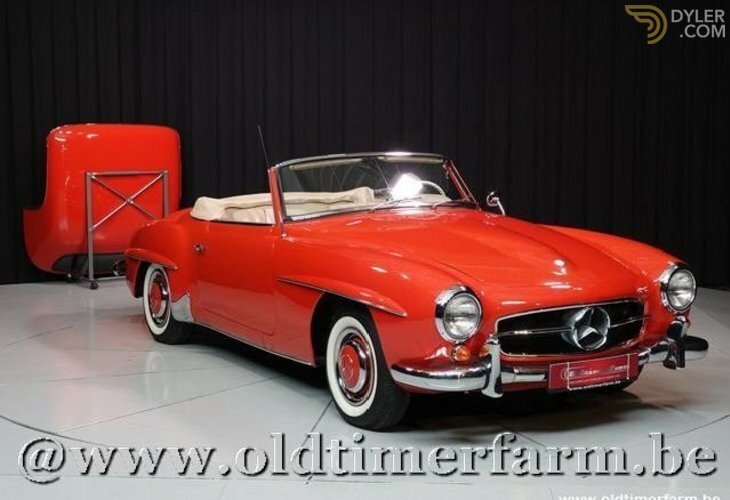 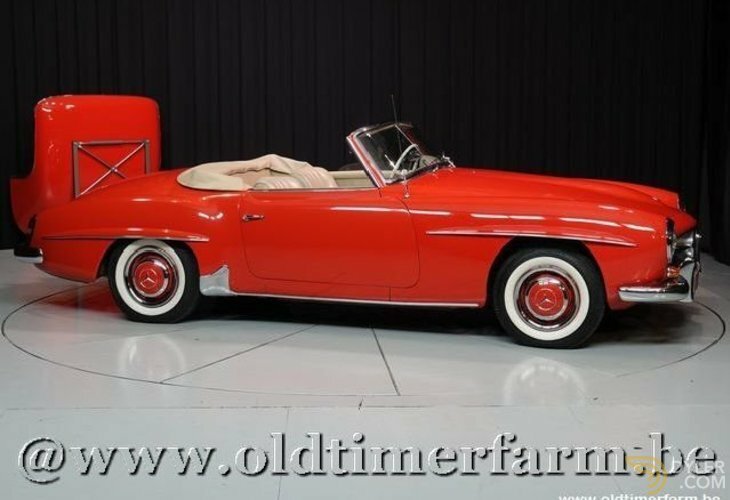 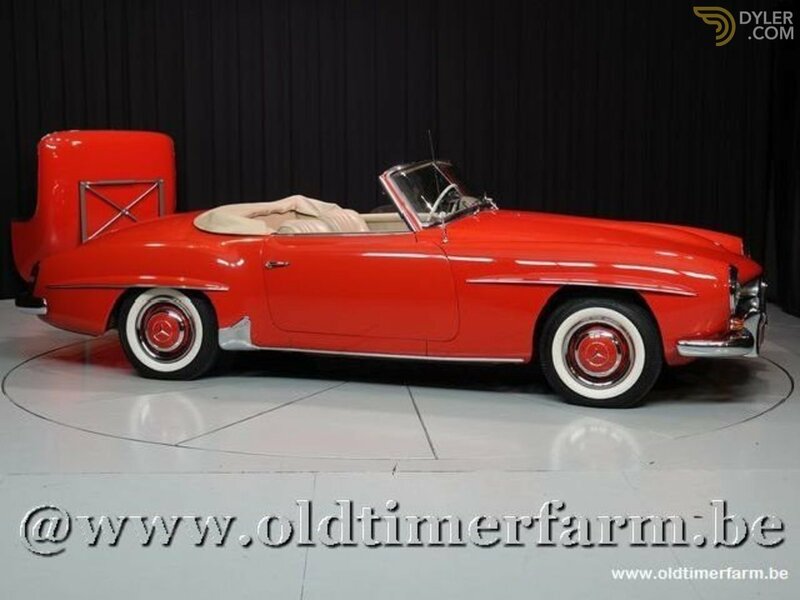 The Mercedes-Benz 190SL was a two door grand touring convertible with a removable hardtop. It was produced by Mercedes-Benz between May 1955 and February 1963. 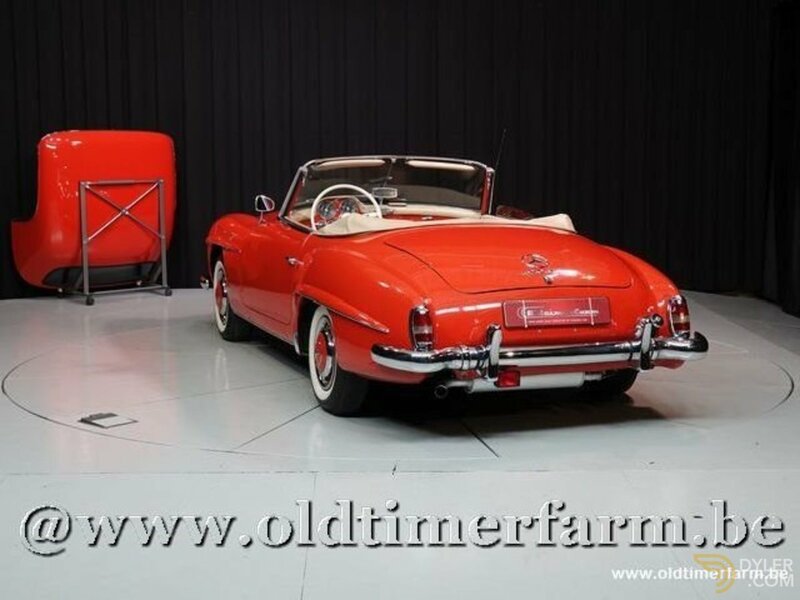 A prototype was first shown at the New York Auto Show of 1954.The 190SL was sold alongside the faster, more expensive Mercedes-Benz 300SL, which it closely resembled both in its styling and in its fully independent suspension, with both cars having double wishbone suspensions at the front and swing axles at the rear. 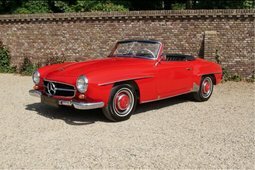 However, the 190SL did not use the 300SL's purpose-built tubular spaceframe W198 platform, but was instead built on the shortened monocoque R121 platform, which was modified from the W121 small saloon platform. 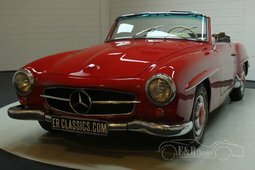 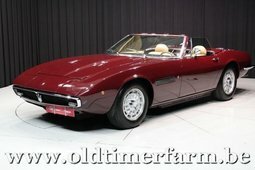 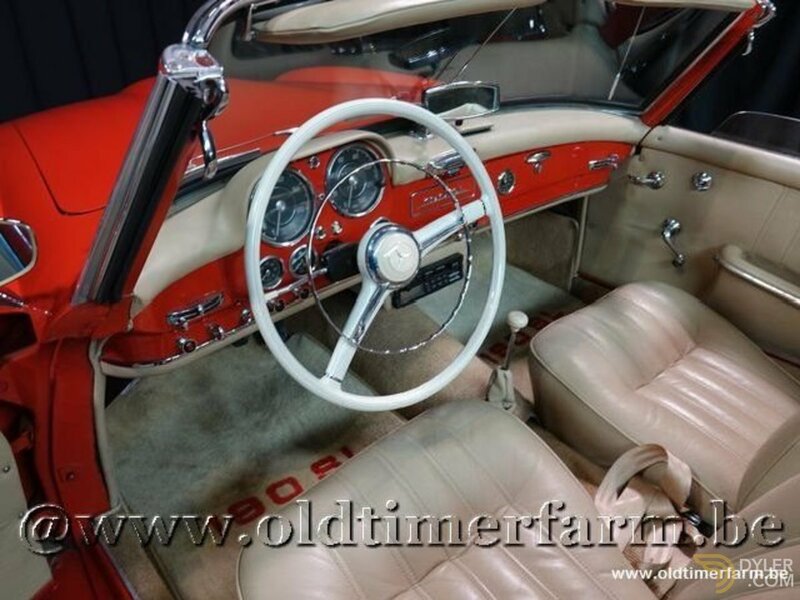 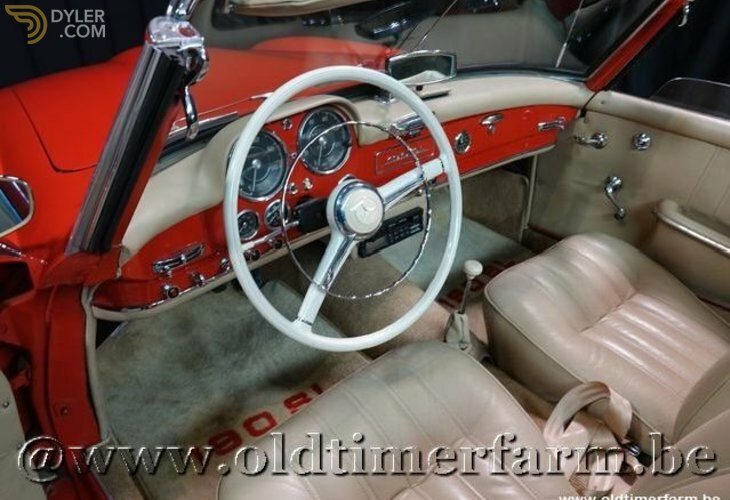 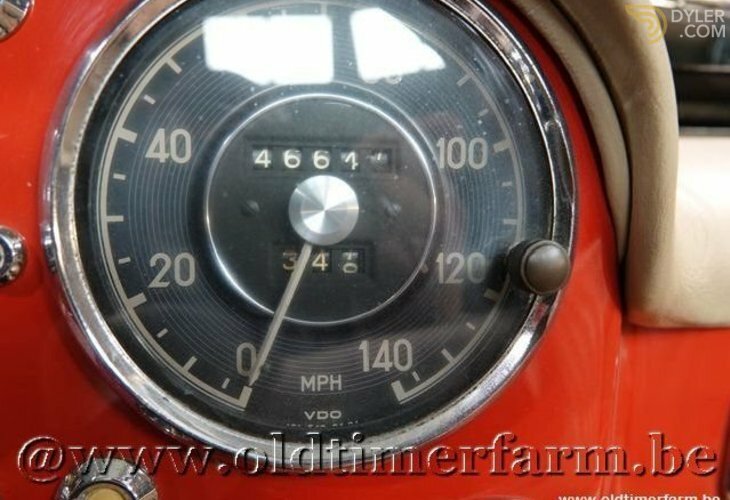 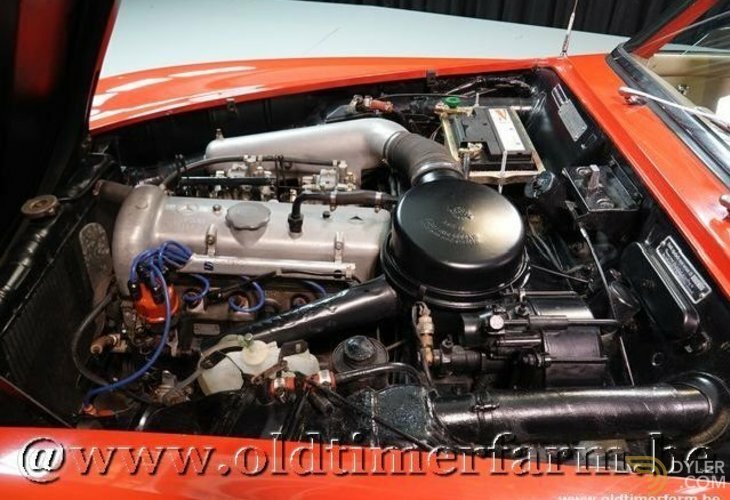 The 190SL was powered by a completely new, slightly oversquare 1.9L straight-four SOHC engine (Type M121 BII), that developed 105 PS (77 kW; 104 hp) (or 120 gross hp) that earned itself a reputation for not running that smoothly mostly due to the difficulty in properly synchronising the twin-choke dual Solex carburetors, and that, in detuned form, was later also used in the W120 180 and W121 190 models. 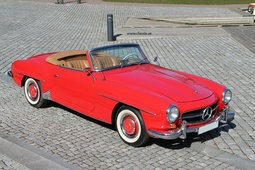 In fact, the four cylinder engine block of the 190SL was based on the six cylinder engine of the 300 SL. 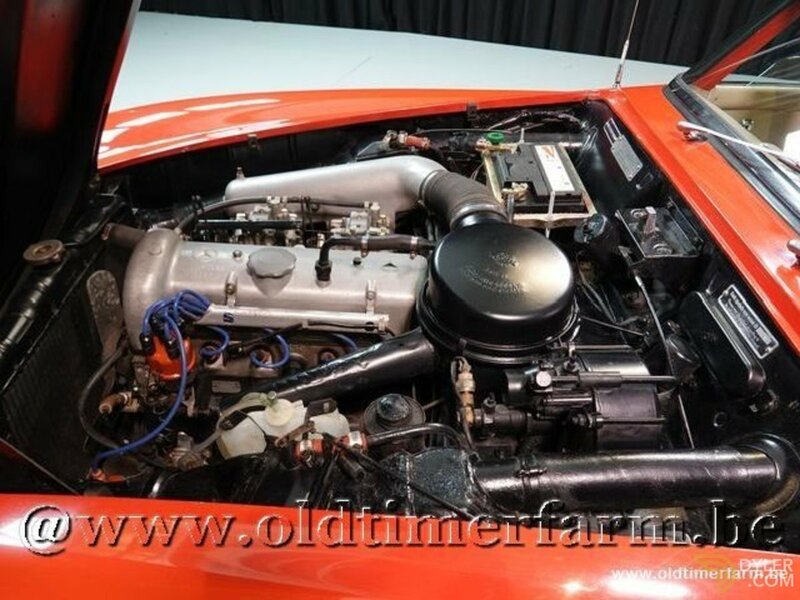 The 85 mm bore was transferred unchanged from the larger engine to the smaller, although the stroke for the 190 SL was reduced from 88.0 mm to 83.6 mm. 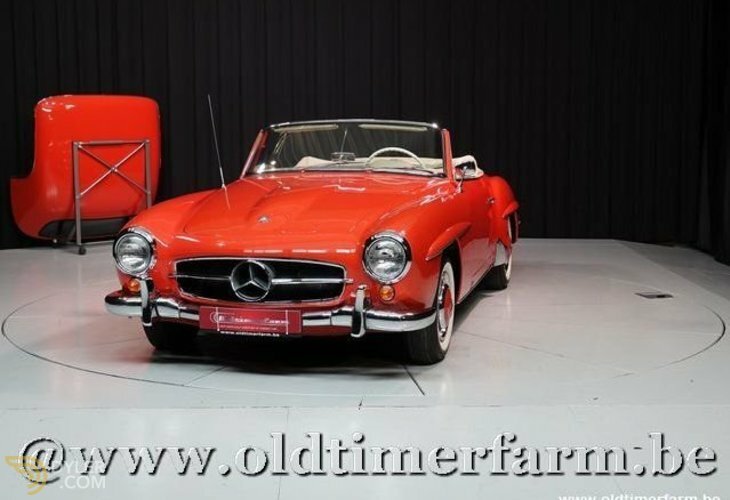 The car was available either as a soft-top convertible (initially priced at DM 16,500/$ 3,998 or with removable hardtop (DM 17,650/$ 4,295). 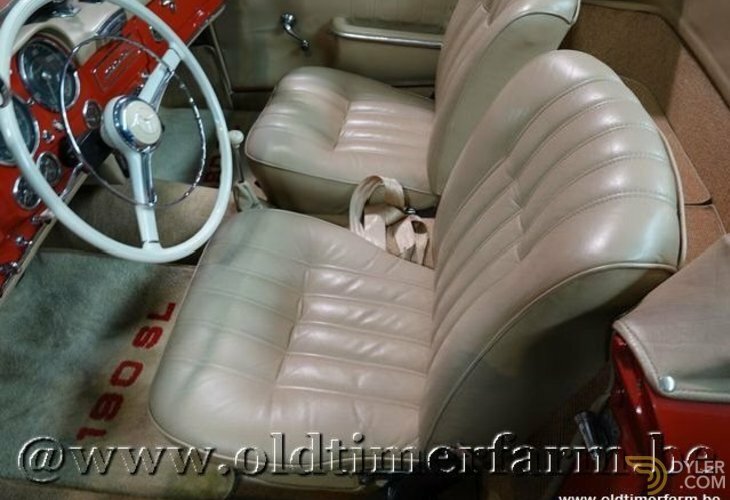 A nice option to be had was the third-passenger transversal seat that could even fit an adult. 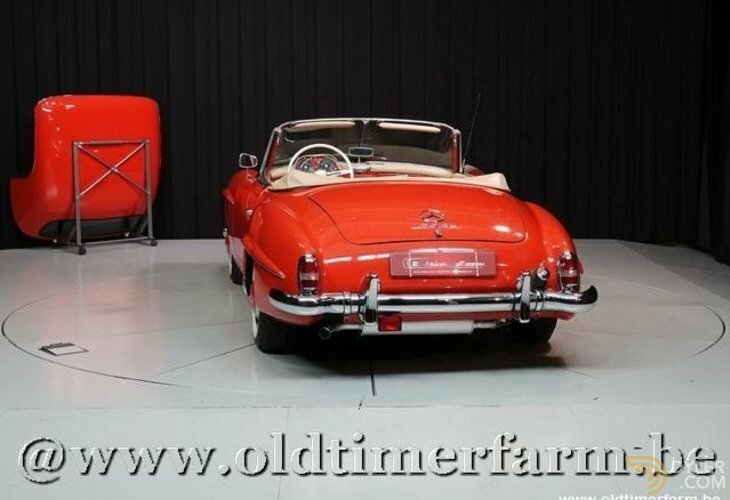 In its early life, the 190SL could also be had as a sports-racing model with small perspex windscreen and aluminum doors. 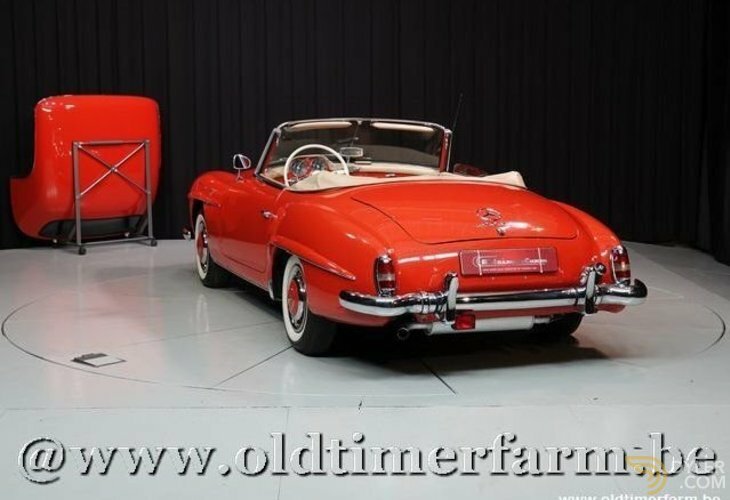 In 1959, the hardtop's rear window was enlarged. 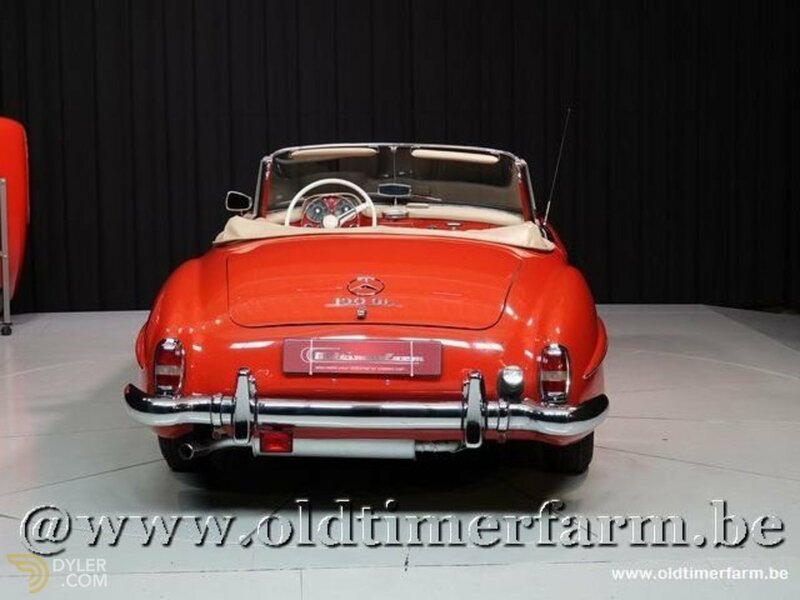 The 190SL was also referred to as the Nitribitt-Mercedes after the scandal surrounding the murder of the call girl Rosemarie Nitribitt, who owned a 190SL.